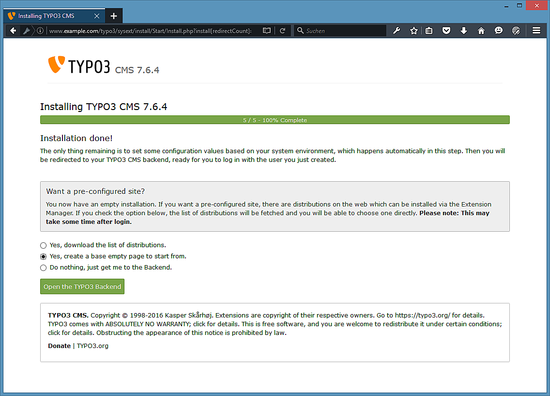 This tutorial shows how to install and configure a TYPO3 (version 7) web site on a Debian 8 (Jessie) server that has Nginx installed as web server and MariaDB as the database server. 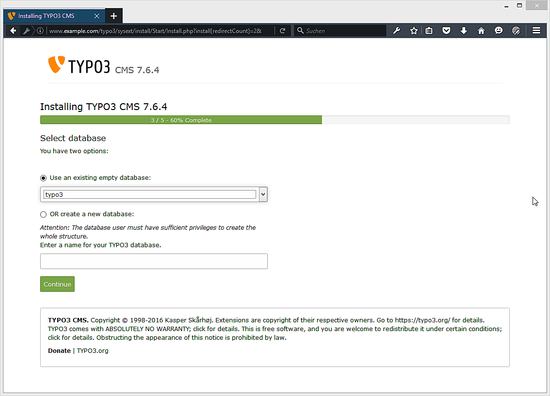 Nginx is a fast web server which replaces the standard web server "Apache" in this setup, MariaDB is a MySQl fork which is faster than MySQL and developed by the original MySQL inventor Monty Widenius. 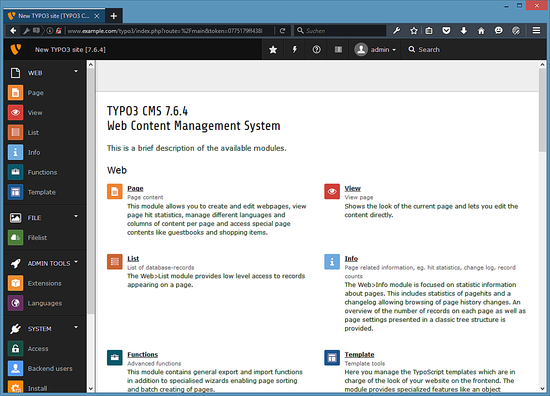 Typo3 is an enterprise class CMS system written in PHP which has a large user and developer community. I want to install TYPO3 in a vhost called www.example.com here with the document root /var/www/www.example.com/web. My server uses the IP address 192.168.1.100, please replace this IP in all config files and commands with the IP address of your server. The tutorial assumes that you have already a working Nginx installation, if not, then please follow this guide first to install Nginx, PHP, and MariaDB. 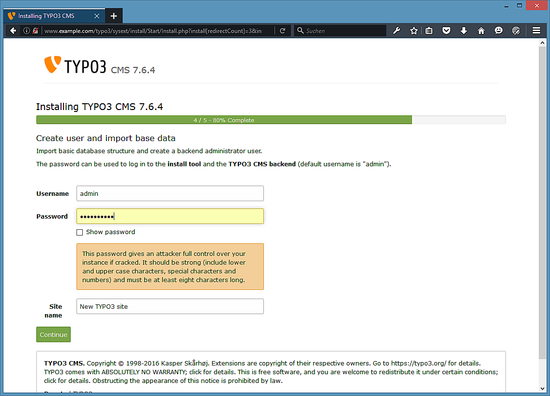 Login as root user on the server and proceed to the next step. 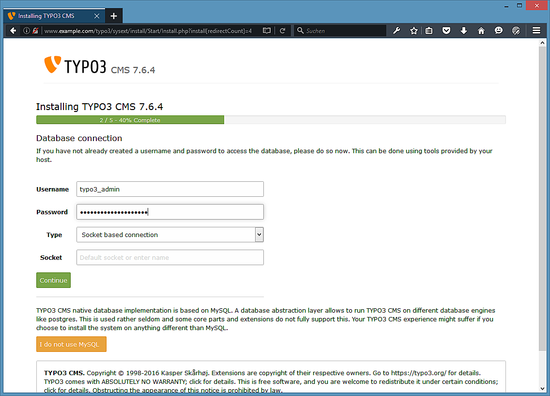 APCu is a free and open PHP opcode cacher for caching and optimizing PHP intermediate code, it adds the functions formerly provided by APC to the now integrated PHP opcache. It's similar to other PHP opcode cachers, such as eAccelerator and XCache. It is strongly recommended to have one of these installed to speed up your PHP page. This configuration already contains everything that is needed for clean URLs (because of the try_files $uri $uri/ /index.php$is_args$args; line in the @nocache location). and adjust the following settings. 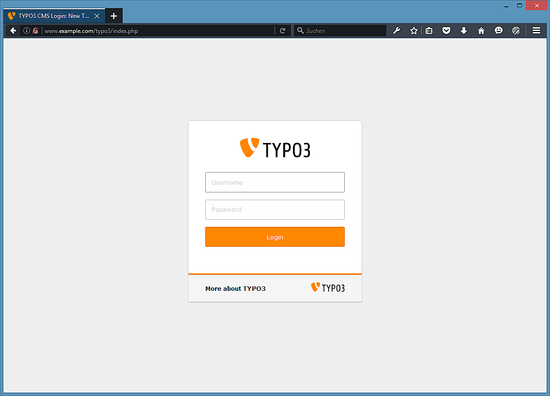 Now login with the username and password that you have chosen during Typo3 setup. 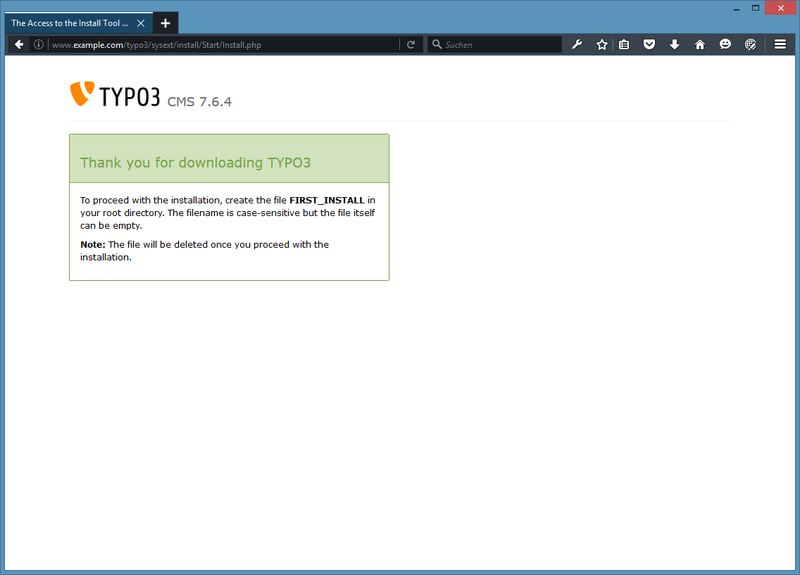 Typo3 has been installed successfully. 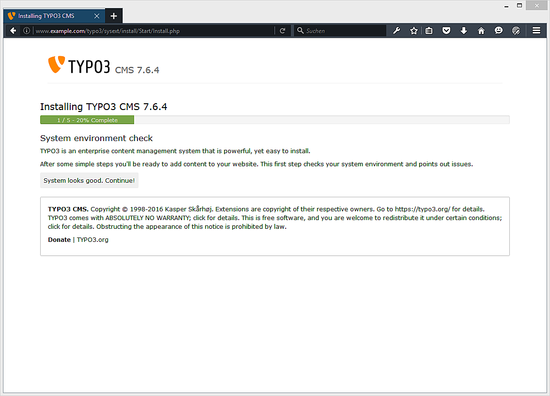 Now you can start to build your Typo3 website. 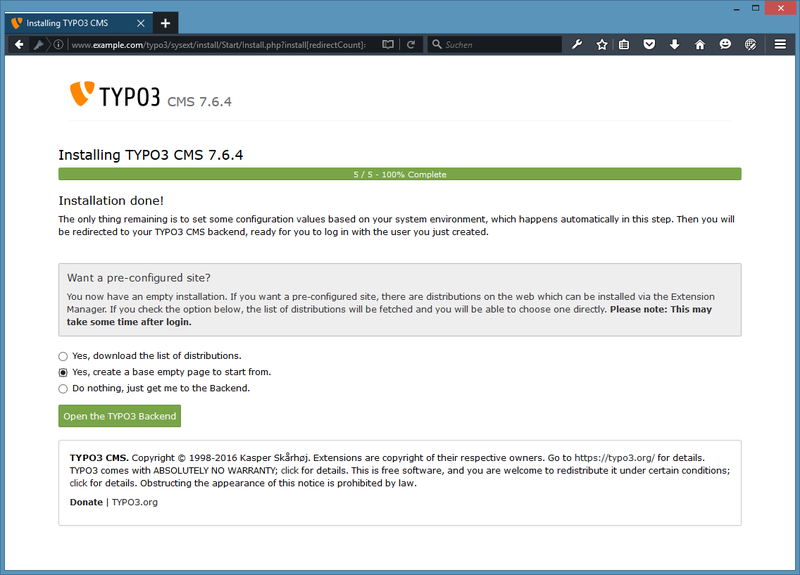 This tutorial is available as ready to use virtual machine in OVA / OVF format for Howtoforge subscribers. The VM format is compatible with VMWare and Virtualbox and other tools that can import this format. You can find the download link in the right menu on the top. Click on the file name to start the download. Please change the passwords after the first boot. The VM is configured for the static IP 192.168.1.100, the IP can be changed in the file /etc/network/interfaces. How to install TYPO3 7 with Nginx and MariaDB on Debian 8 (Jessie) as virtual machine image download in ovf/ova format, compatible with VMWare and Virtualbox.